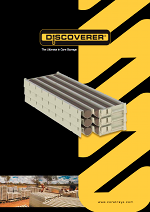 A proven track history for over 20 years of industry use, the Discoverer® plastic core trays have been based on the original design “The Explorer” which has been used in the field since 1993. The Discoverer® plastic core trays remain relatively cool to touch when left outside, unlike metal trays. Therefore no more painful burns when handling core trays. Rounded edges mean no more dangerous sharp edges, leading to improved safety when handling. Being manufactured with a one piece mold means no unusable trays in use, reducing the chance of workplace related injuries. The ‘Discoverer®’ Plastic Core Trays are a one piece mold, meaning no pop rivets and welds which increases the products strength and importantly no sharp edges. The Discoverer® is made using the highest UV stabilized polypropylene available making it exceptionally durable in any harsh mining or exploration environment. The Discoverer® is manufactured from exceptional quality raw materials, which makes it extremely resistant to impact and crushing. The Discoverer® Sub Zero is manufactured for use in freezing conditions and trays are tested to minus 50°C. All Discoverer® core trays are available in the subzero polymer. A bold start indicator has been designed to make it absolutely clear to the driller at which end they should commence loading the core from, eliminating possible errors in the logging process. 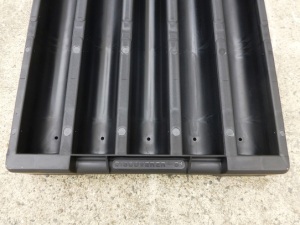 The trays are colour coded, allowing for quick and easy identification of the different sizes both in storage and out in the field and when re-ordering. The Discoverer® has a built in ID Tag area and optional aluminum tag inserts providing a permanent record of contents. The Discoverer® has standardized sizing. The majority of sizes used in the mining and exploration industries are H, N, P & B core diameters. We have chosen to invest in the most sought after sizes and standardised the length making all our trays 1m (3.49ft) long. Our Discoverer® core boxes have large core capacities ranging from 3 meters (9.84ft) to 7 meters (22.96ft). The Discoverer® core trays can be customized. We can manufacture your core trays in any colour or place your company logo on your core trays. The materials used to produce the Discoverer® have a high level of resistance to organic chemicals that are found in some drill core recovery, meaning your core won’t become contaminated. The Discoverer® is non-magnetic and will not corrode keeping your core free from magnetic susceptibility when testing and ensures no corrosion of the trays occur. The Discoverer’s unique raised ribbed design helps to retain the quality of your core by improving drainage. The Discoverer® core trays cannot be affected by insect infestations like wooden core boxes as the plastic is not penetrable. The Discoverer® core trays have a range of accessories available and one of these is the custom made lid which assists to maintain your core’s integrity at all times. Only the Discoverer® core trays have unique a stacking capability, which allows the trays to stack perfectly on top of each other, loaded with core without touching the tray below. This means that your core is stored without interference, helping to retain the quality of the core. Because our Discoverer® core boxes nest, we can send from 1560 to 4818 individual core boxes in 20ft, 40ft and 40ft high cube container loads. We can pack your trays for delivery to your required specifications at no extra cost where applicable. 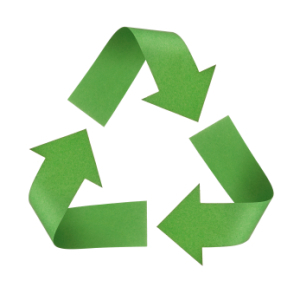 We have an environmental conscience and that’s why the Discoverer® core trays are fully recyclable. Because our core trays can last a lifetime there is no need to continually replace core trays like you need to when using wooden or metal products, therefore reducing waste. Using plastic saves the trees! Wooden boxes being used in the industry extensively can contribute to the deforestation of woodlands and animal habits. Send us an email to enquiries@coretrays.com or phone us on +61 7 5482 6649 to arrange your free samples today. The worlds leading core tray and core box, proven in all climates since 1993. Proudly designed, owned and manufactured in Australia. The patented Discoverer® Series 2 is available with unique 'Stack and Nest' capabilities. Fit up to 100% more core trays per pallet.